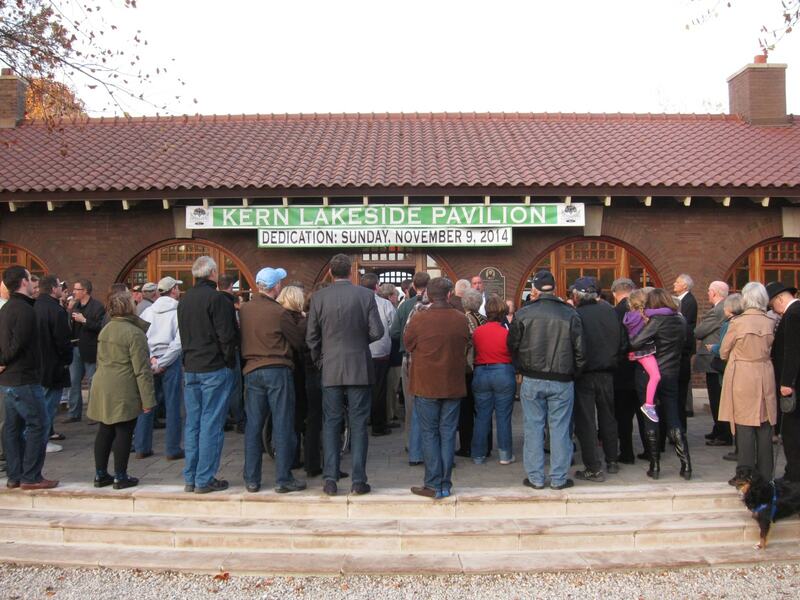 On Sunday, November 9, 2014, the Lafayette Park Conservancy hosted a Dedication Ceremony for the Kern Lakeside Pavilion. Formerly known as “the boathouse”, the Kern Pavilion has undergone a beautiful restoration. It has been renamed in honor of Maximillian G. Kern, “The Man Who Made St. Louis Beautiful”. Kern designed Lafayette Park and Forest Park; and he laid out Westmoreland and Portland Places, the Compton Heights Reservoir, Benton Park, and Hyde Park. The Dedication Ceremony commemorated the 150th anniversary of Kern’s tenure as Superintendent of Lafayette Park from 1864-1869. The boathouse was constructed in 1909 as a shelter in case of inclement weather. It was a popular and necessary addition to the Park, but by the 1970s its condition had deteriorated and it was rarely used. Its potential as an event space was obvious but funds for its restoration were not available until recently. This restoration project was funded by the Near Southside Improvement Corporation, which is the TIF set up to benefit the Lafayette Square neighborhood. For more history on this important project and some “before” photos, please check out the Lafayette Park Conservancy’s webpage on the subject. Please see our Private Events page for information about renting the Kern Pavilion for your next birthday party or family reunion! 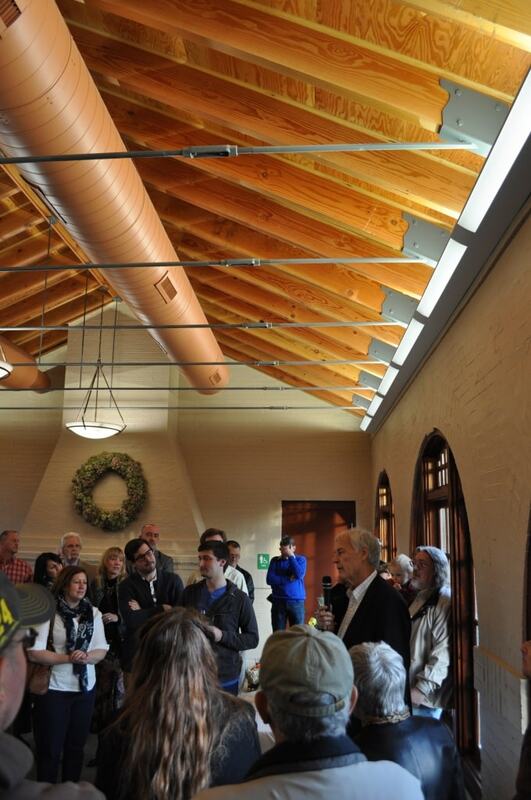 Ward Buckner, President of the Lafayette Park Conservancy, welcomed the crowd inside the Pavilion and shared information about the restoration process. 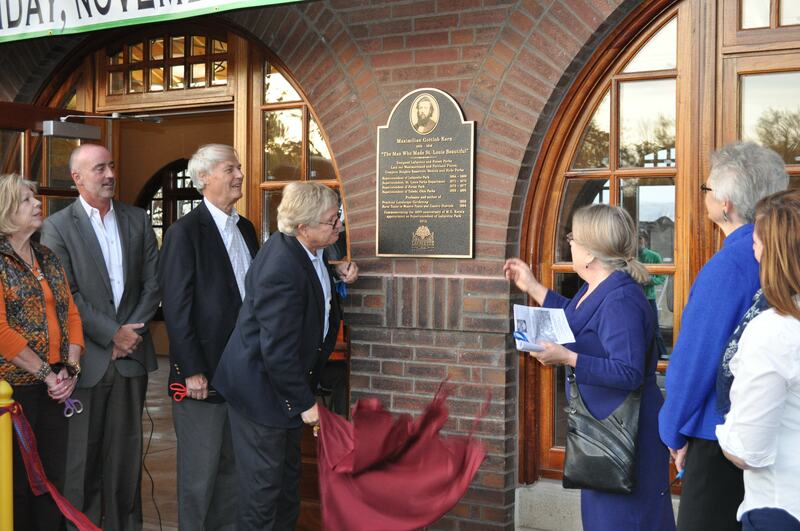 A large crowd gathered outside the Kern Pavilion to view the unveiling of the memorial plaque. Maximillian Kern’s grandson, Jolyon Gissell, unveils the plaque. Pictured with Chris Goodson, Ward Buckner, Carolyn Willmore, and Alderwomen Phyllis Young and Christine Ingrassia. The official ribbon cutting! From left, Joe Carlson of BSI Constructors; Chris Goodson of Near Southside Improvement Corporation; Kathy Sullivan of St. Louis Parks Department; Steve Coffey of Coffey Design Group; Jolyon Gissell; Carolyn Willmore of the Lafayette Park Conservancy; Ward Buckner of the Lafayette Park Conservancy; Alderwoman Phyllis Young; Alderwoman Christine Ingrassia.